I’ve never dealt with so much fabric at the same time! I FINALLY got our quilt together! 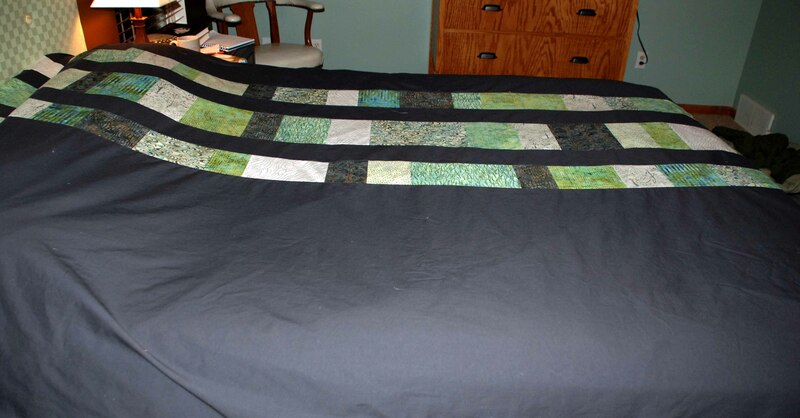 Well the top and back side are sewn, now I just have to get it basted and off to the Queen Bee Quilt Shop to get machine quilted and then I’ll have to put the binding on.. OK OK so I have a lot to do yet, but it at least looks like something now!! You’ll have to excuse the poor quality of the photos, I couldn’t wait until the morning to take the photos. 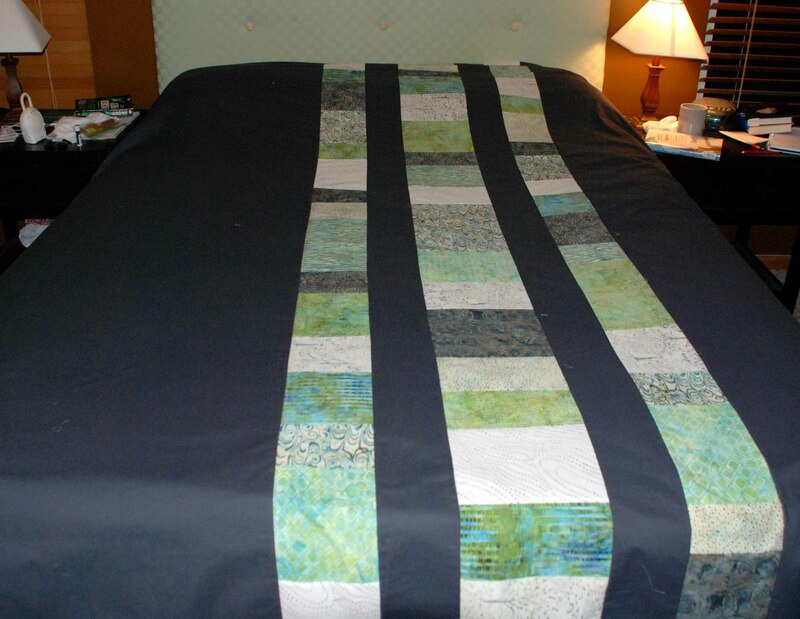 This is the main side of the quilt. 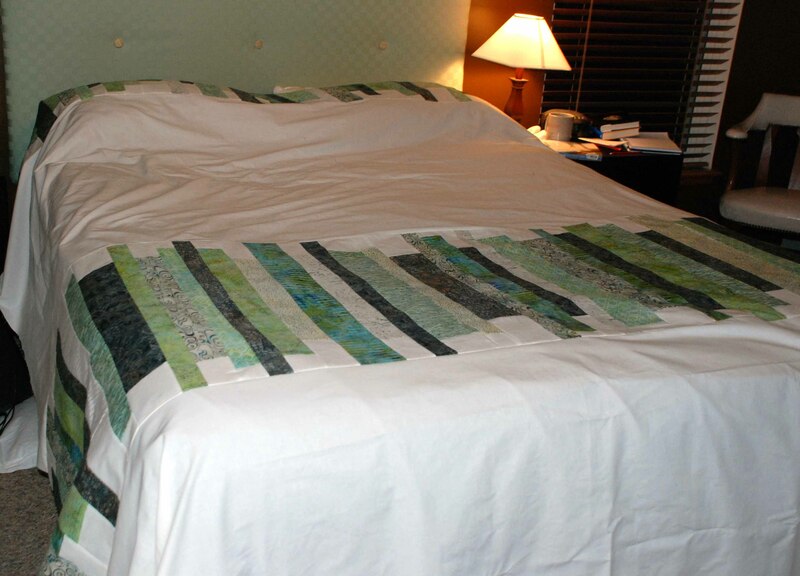 I had seen this pattern on a quilt at Macys and really liked it, but I added a second pattern area up by the pillows, which you can’t really see in the picture very well. Another view of the back side. Anyways, that’s it, can’t wait to get it finished up and actually use it!